RENTED! This October this upper waterfront unit in Sunrise Pointe. South/west facing unit. Easy access to the freeway but without the noise. Views of the Bay and Marin hillsides. Unit has pool, jacuzzi and walking path access right. Big thanks to David Ogden and Caryn for the referral and big thank you to the owner for trusting her property with us! Looking for help with your Marin rental home? My team and I specialize in the Marin rental market and we'd love to help! Call our local office anytime: (415) 507-9600. One of the biggest drawbacks of renting a house, can not have a lot of confidence to get the tenant to rent a house. Even if the agreement can protect the rights of the lessee for a certain period, there are no guarantees of the house to expand outside the terms of the existing contract. This means that since the expiration of the contract, the lessee may be informed that the house would not have been hired in the future. On the other hand, this situation is rare in most of the apartments and the tenants are sure there is the possibility of renewing the lease every time it expires. Subscribe To Marin Rental Blog! RENTED! Ocean Views in Mill Valley! RENTED! Cute 3bd in Mill Valley! RENTED! in Corte Madera on the water! I'm a California native currently leasing properties in Marin County with my partner and husband Christopher Barrow. 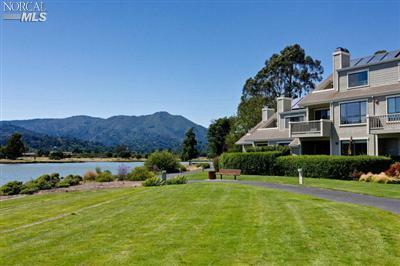 We handle Marin rentals and relocation exclusively and have served Marin together since 2005. Listing your Marin rental home with our rental team brings dedication, aggressive local market knowledge and peace of mind that your property--be it a simple $1,000 studio in Sausalito or a luxurious $15,000 executive rental in Ross--is handled by a team of active professionals. My team has executed hundreds of leases and fielded thousands of tenant phone calls, and we look forward to continuing to serve Marin County rentals for the years to come. Contact me anytime at db@foundationrentrelo.com.